Over six weeks in Chicago’s Albany Park neighborhood, the art and design collective known as the Museum of Contemporary Phenomena (MCP) harnessed one of the city’s greatest and most overlooked sources of energy: teenagers. In a vacant storefront, MCP conducted a series of hands-on workshops addressing the design of safe spaces. Thirty teens took part, learning about the complete design process—interviewing neighbors, mapping sites, brainstorming ideas, developing concepts, presenting them to the community, and selecting an idea to pursue at full scale. Their final project was the transformation of a parking lot into a lively place, replete with benches, flower planters, a climbing wall, and skateboard ramps which the teens built themselves. 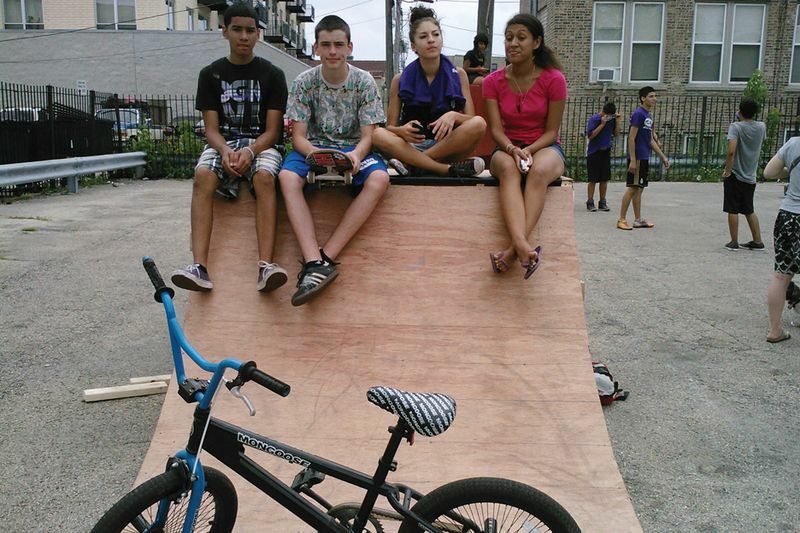 By empowering teens to improve the spaces they regularly occupy, Territory created an opening for them to positively interact with each other and their communities.